The design process for our new old home began one April night after we’d put the kids to bed, sitting on the couch over an unnecessary delivery pizza (we were stressed). This is when (from memory) Zack sketched the layout of the house we were about to buy. He drew it as it was, then he got to work hacking it apart with a pencil and eraser. Next, we drew it up in our design software and made the dimensions more precise. After twelve (thousand) rounds of revisions, we settled on our new layout. That is pretty much where the division of labor came in. From that point forward Zack handled all of the details regarding construction (with my input of course) and I took the reigns on all things design and decor (with his input of course). With a (very) open floor plan, a cohesive look was important to me. I wanted a calm, tranquil environment that was basically a blank canvas for our eclectic style. In many ways I’m a modern girl. I like clean lines, I like to keep things simple. At their core, these are timeless design elements to me that you can’t go wrong with. 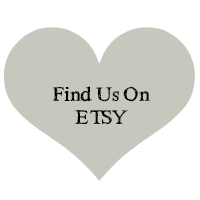 Then at the other end of the spectrum, if you’ve seen our furniture you know I have a thing for all things rustic, vintage, chippy, rusty, etc. How in the world do these two styles collide? Well, I was determined to make it happen. I started with paint. I love white. My trim in the last house was white and that wasn’t going to change in the new house. For the walls, my goal was a “non-color”. 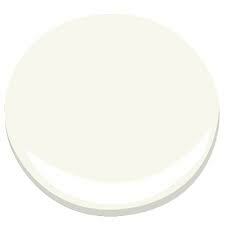 I didn’t want white. 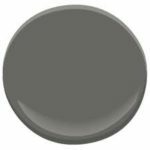 I liked gray, but grays tend to go blue on me and I wanted a warm environment. I definitely didn’t want khaki or tan–been there, done that. I knew wanted a bold color for use as an accent throughout. I would figure out exactly where to use this bold color later on. Ultimately, we chose three colors to repeat throughout the house. With paint colors set, it was time to make some other design decisions. Walls and floors come first in my mind so that was where we started. Flooring nightmares choices in this instance are a whole post of their own, so we’ll save that for another day. I did, very easily, find some great tile for the upstairs bathroom floor that I LOVE. In fact, I loved it so much we bought it in another size to do the interior floor of both fireplaces (as of this writing, the fireplaces still aren’t done… shhhh). 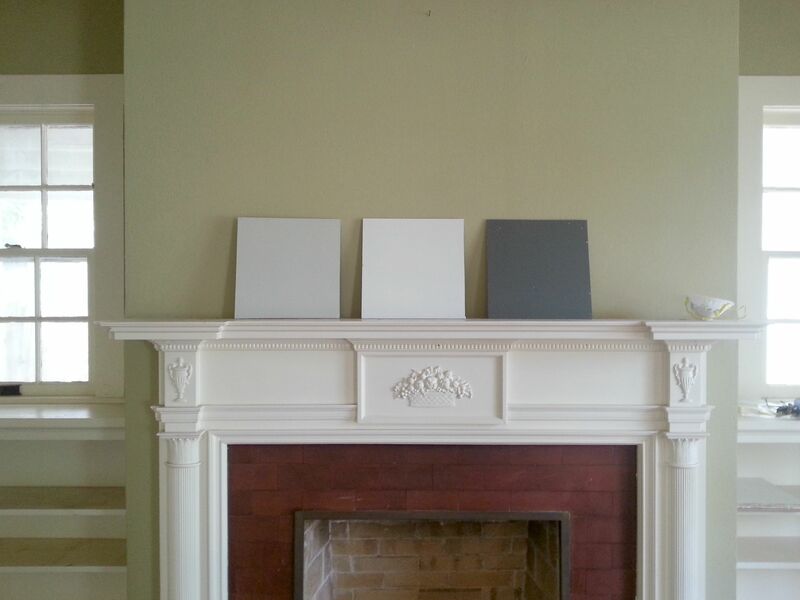 We went with a 6 1/2 x 20 in the bathroom and ordered the 20×20 for the fireplaces. Details on the tile can be found here. For countertops, we went round and round. And by we, I mean me. With myself. Yes, I know. Issues. I wanted to keep the space light. I didn’t want it to feel cold. Should I use two types of stone in the kitchen? What if we splattered salsa? Or spaghetti sauce? Would it stain? What if I left lemon juice on the marble? Would it etch? Would I care? I didn’t want to have to care! Their was a freaking hole in the center of the kitchen and I couldn’t think straight! Ultimately, I kept things simple. (Noticing a pattern here?) 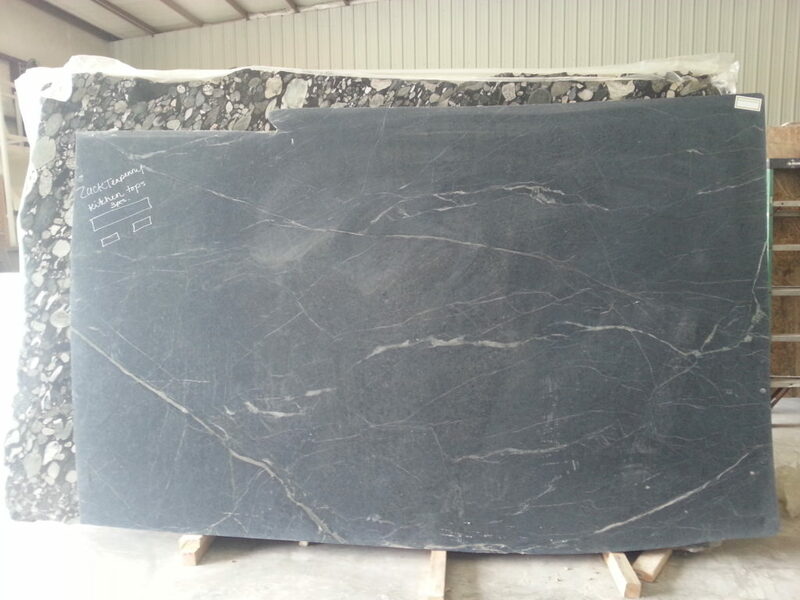 For all of the kitchen surfaces, I opted for soapstone. I made sure to choose slabs that didn’t look green (Although there were a few “Omg, is this green? moments once they were installed. It’s not green. Chill out, people. And by people, I mean me). 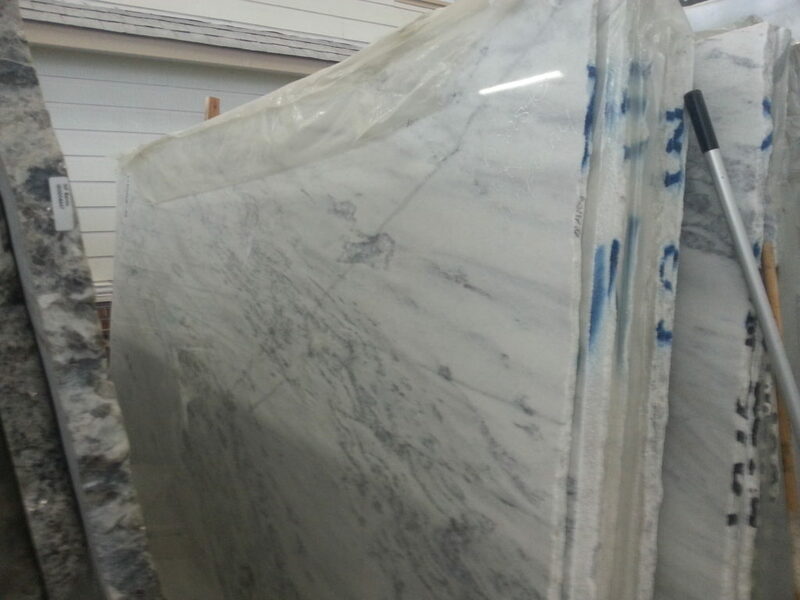 Here’s a shot of one of the slabs I snapped with my phone at the fabricator’s warehouse. For the upstairs bathroom I went lighter. I felt like we would be (a little) easier on it so I wasn’t as concerned about the potential delicate nature of the stone. What kind of marble is this you ask? White with some gray. And not carrera, because they didn’t have any at the time. Translation: I have no idea, but I think it’s pretty and it’ll do just fine. 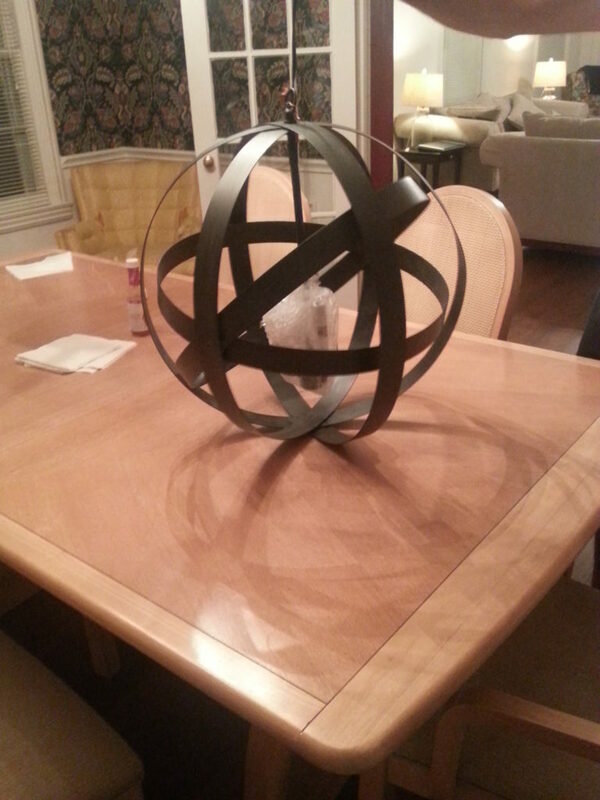 An orb chandelier for over the kitchen island. 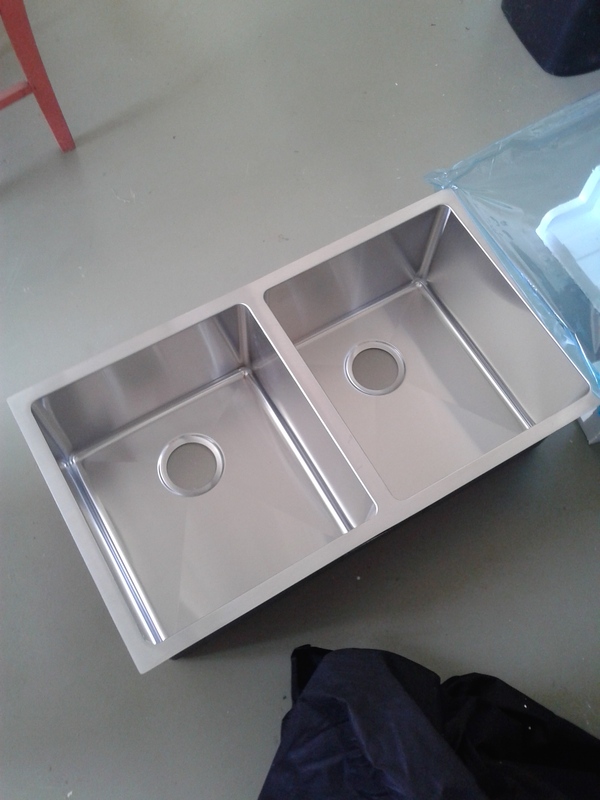 This ridiculously deep, commercial style kitchen sink (that I almost let convince me we need another baby so I can bathe them in it). 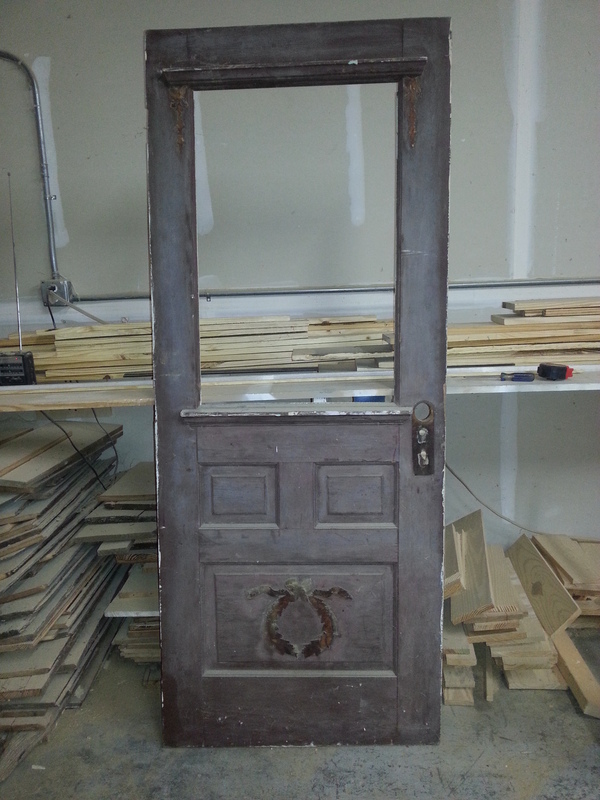 And this beautiful gem: a find from our own hoard shop that would soon become our pantry door. With just a few choices made, my eclectic/random style that is a mix of modern, vintage and everything in between is already shining through. Stay tuned… One of these days we’ll actually get to the end of this project! Haha… yea right!